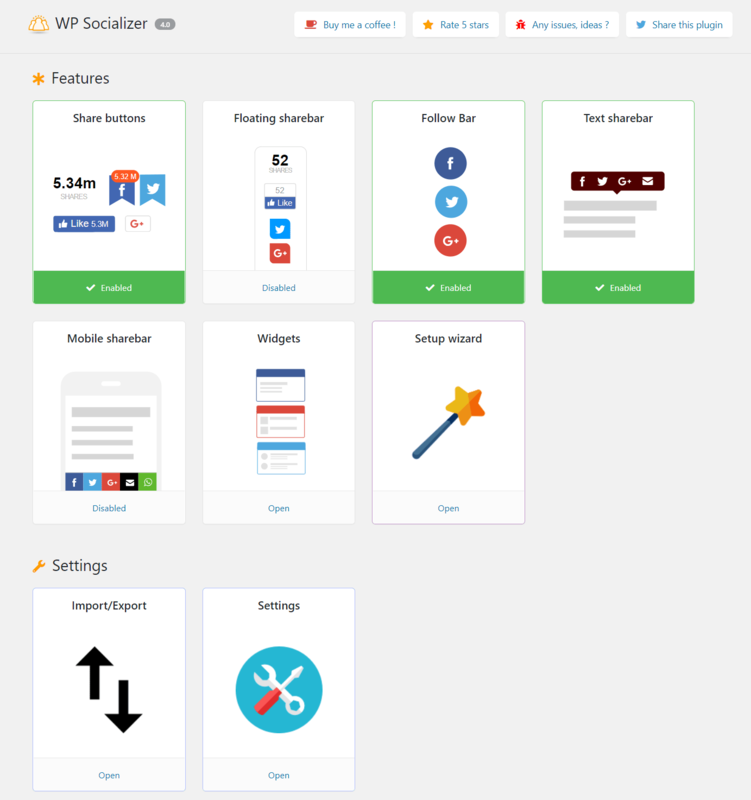 I’m happy to announce that WP Socializer – WordPress plugin version 4.0 is now released. It is a huge update in the back end with a brand new administration interface. This released is focused on enhancing the administration page making sure the interface is intuitive enough for everyone. I always believe that WP Socializer is one plugin which is feature rich and extremely customizable compared to other social media sharing plugins. I too believed that the admin interface is quite clumsy and not intuitive for beginners to get the plugin work for them. While visiting websites where the plugin is used I felt that people were not able to explore the full potential of the plugin. This version 4.0 is the very first step to clean out the admin interface. All the features in the plugin are categorized as modules with ability to toggle each one of them separately. WP Socializer’s main awesome feature is to build a custom social sharing template as per the theme/taste using the drag and drop UI. 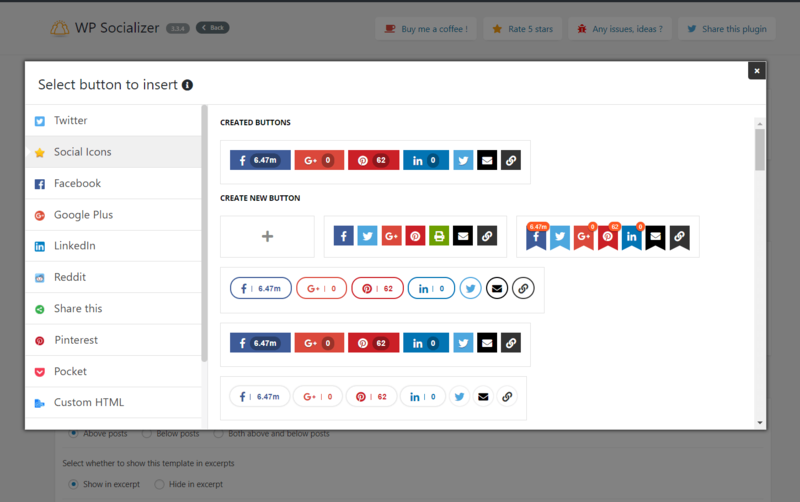 Previous versions had multiple steps to create one button and insert them into template. Many people while discussing did not completely utilize the feature because of this. With this new version 4.0 the problem is solved making sure beginners and even advanced users know what they are doing and how to take advantage of the plugin features. One more change is to admin UI is option selectors now have images as opposed to just plain text in previous versions. 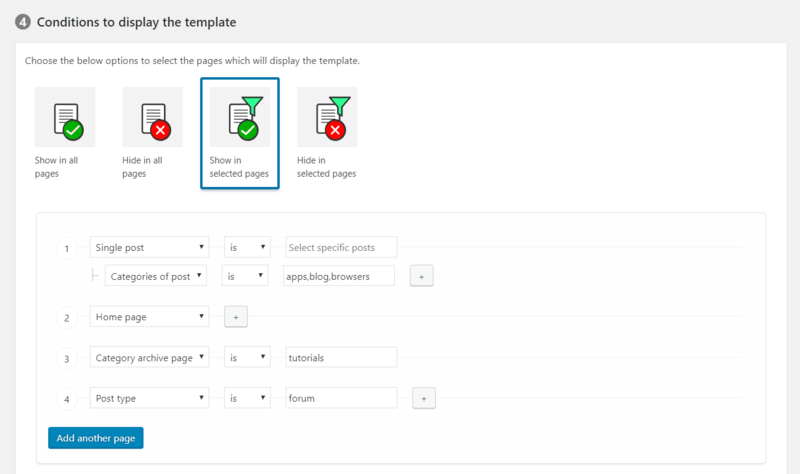 This will expose the options which were not utilized by people as I had queries earlier for a feature which was already offered by WP Socializer. Along with admin UI enhancements, WP Socializer is also made extensible by other users/developers to make their contribution. I’ll share the developer APIs of the plugin shortly. This will make sure that users can write add/share their support for any social sharing service which is not available or provide it to their own customers. New: Brand new admin interface. New: CSS resources are combined and optimized. New: Support for font awesome 5 icons. New: Weibo, Renren, Odnoklassniki, Line, Skype, Mix social icons added. New: Custom colors can be selected for share icons. New: Enhanced existing developer APIs and added new filters. Please do try the new WP Socializer and share your comments and experience ! If you love the plugin please do share it with your fellow WordPress users and support the plugin ! WP Socializer reaches 100,000 downloads !